The protocol only covers malicious and criminal cyber incidents -- Europol highlighted that it does not cover incidents caused by natural disasters or ones resulting from human error or system failure. Its goal is to complement existing crisis management mechanisms. 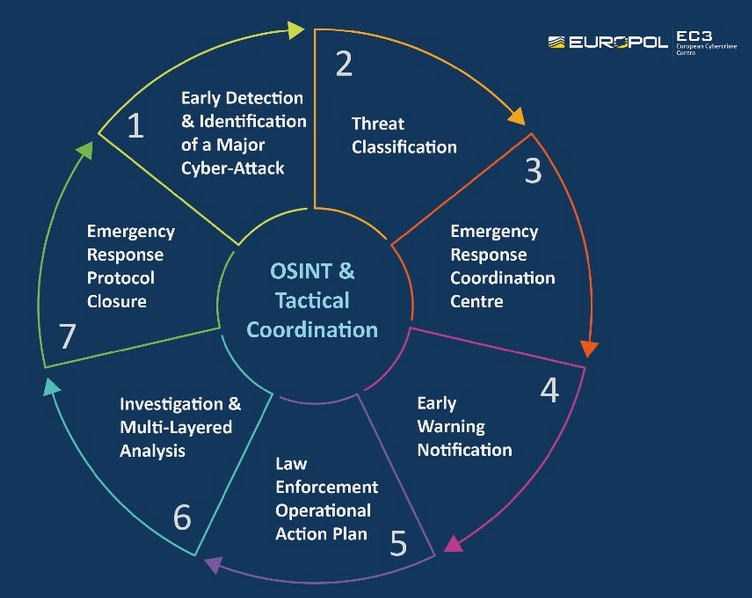 The protocol has seven main components: early detection and identification of a major cyberattack, classification of the threat, establishing a coordination center for emergency response, early warning notifications, an operational action plan for law enforcement, investigation of the incident, and emergency response protocol closure.